A new economic study released today by the BC Council of Forest industries (COFI) finds that the B.C. 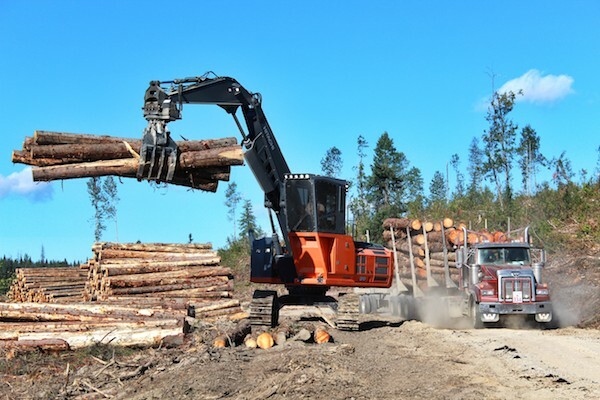 forest industry generates significant economic activity and employment in every region of the province – with 140,000 jobs employing British Columbians in urban and rural communities alike. The study notes that forestry is highly interdependent across B.C. with partially processed or finished goods flowing between regions, generating economic impact across the province. It highlights that in five of the seven regions, forestry jobs account for 8-22 per cent of total jobs in the region (Cariboo, Kootenays, Northeast, North Coast & Nechako, and Thompson-Okanagan), and generates one in five jobs in three regions: Cariboo (22 per cent), Northeast (20 per cent) and North Coast & Nechako (19 per cent). Importantly, the study also found 5,315 Indigenous workers are directly employed in the forest industry in B.C. making up about nine per cent of the workforce, or one in 11 direct jobs. This level of employment is more than in any other resource sector in B.C. In addition to working directly in forestry and manufacturing jobs, Indigenous participation in the forest sector is strong in the contracting sector, including activities such as logging, construction, silviculture, fire fighting and professional services. Interestingly, while many communities outside the Lower Mainland are forestry-dependent, more than 40 per cent of the province’s overall forest industry jobs are in the Lower Mainland/Southwest region, reflecting the proximity of the Lower Mainland to major ports and the large U.S. market, as well as manufacturing activities, suppliers, and professional services. B.C.’s forest industry is a leading supplier of high-quality, environmentally responsible forest products to countries around the world. Current challenges and opportunities in global trade, and their impact on the sector and forestry-dependent communities throughout the province, will be high on the agenda at the 2019 COFI Convention, which takes place April 3-5 at the JW Marriott Parq Vancouver Hotel & Conference Centre in Vancouver. The PwC report includes a series of case studies highlighting the integrated nature of the industry, sustainability, mitigating climate change, the diversity of products produced from both family-owned to global forest product companies, and more.